Ahhhh, don't you just love this time of year? The sun is shining, the evenings are lighter and everybody just seems so much happier. It's blissful. Spring also happens to be the perfect time of year to take a little trip. Visiting places just before the start of peak season means you won't be battling huge crowds and the weather is usually pretty pleasant in most European destinations too. Plus, it always feels just a little bit magical to visit a city just as it's coming into full bloom. To be fair, I love visiting Paris at any time of year, but in spring it is absolute perfection. You can take long strolls along the Seine, picnic on the grass at the Jardin des Tuileries and climb the steps up to the Sacré-Cœur without melting. With the blossom trees in full bloom, spring is definitely the prettiest and most romantic time to visit the city. Plus the temperature should be perfect for my all time favourite Parisian activity - sitting outside a cute little cafe and people watching with a glass of wine. If you're looking for both sunshine and culture then Lisbon is perfect. In April and May you're guaranteed blue skies and warm air most days, but it won't be too humid to take on the city's many hills and steps. There are plenty of great places to enjoy dinner outside and the nightlife in the Bairro Alto district really starts to pick up at this time of year too. Plus, you can visit the nearby seaside town of Cascais before the summer crowds arrive. I didn't know much about this city before we visited last May, but we fell head over heels for it pretty quickly. Full of charming squares and lush green parks, Milan is the perfect destination for a laidback spring city break. Be sure to visit Navigli for some aperitivo by the canal and head to Eataly for the most delicious picnic you'll ever eat. 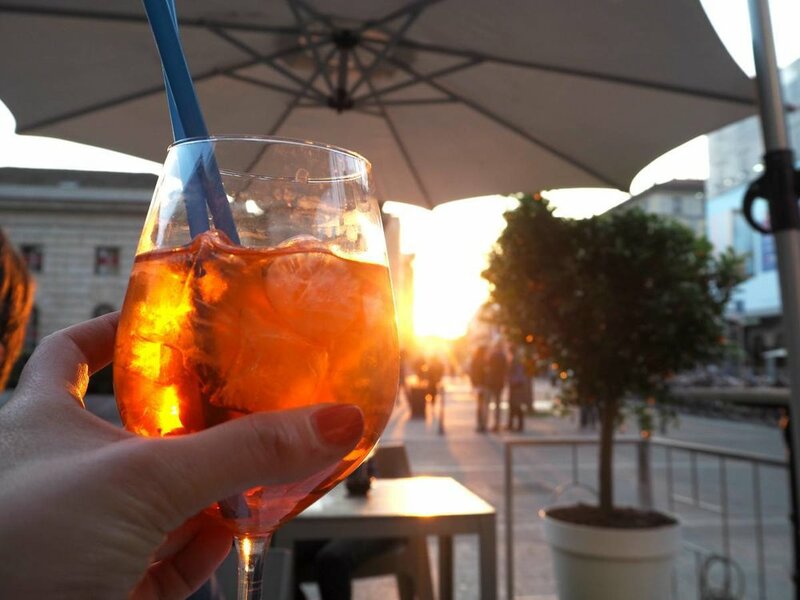 Brera is also a beautiful area to wander around on a sunny day - make sure to stop for an Aperol spritz at one of the pavement cafes. Have you got any spring city breaks planned? Where are your favourite places to visit at this time of year?